You are here: Home WHAT'S NEW? Airing of the Quilts and Back to Steiglitz Reunion 2017 on Saturday 7 October a GREAT SUCCESS! After 7 years, a location for the old school has been found. The Back to Steiglitz Festival was held on Sunday 23 October, 2016 - another GREAT DAY in Steiglitz. 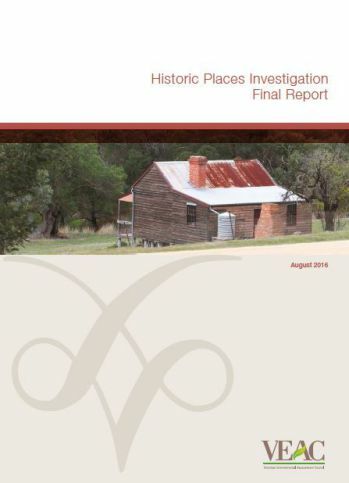 Sugg's Blacksmith's Cottage at Steiglitz features on the cover of the newly released report by the Victorian Environmental Assessment Council. Back to Steiglitz Association is included in list of proposals received. See Dr Fiona Gray's article about the Steiglitz State School, first published in the Royal Historical Society of Victoria News July 2016 and Steiglitz State School. 2014 - Our Special Sewing Competition! Judi & Wayne McKail being passionate treadle sewing machine enthusiasts made us an offer. Since Steiglitz (and our Festival) is about the colonial goldfield experience, what about a sewing comp? One centred around something every Aussie colonial woman valued as much as gold – her treadle sewing machine. This is how it worked – individual competitors (or teams) made a Steiglitz-inspired apron, on a beautiful old treadle cabinet sewing machine (no, it’s not BYO machine, Judi & Wayne supplied them!). The event was in two sections – cutting/preparation, and sewing. All entrants ended up creating a unique apron to keep. The bonus being, two lucky winners also received a fully restored, antique treadle cabinet sewing machine each! Great News 2014 - Silly Billy Trophy is found! Our fabulous ‘Silly Billy’ trophy is back. Thanks to the article & photo in the terrific Bannockburn Newsletter, we had a call from the Morris family where their grandson had recognised his Grandad’s (Lenny Morris) face amidst its pages. He has the trophy polished & his name engraved, ready to hand back to us...though "only for a brief time" he says. For he’s also busy putting the finishing touches to what he describes as his winning billycart. He firmly believes that at 70 years of age he’s gonna be reclaiming his title! Please LIKE our new Facebook Page and keep an eye out for all the latest information on what is happening in Steiglitz and the preparations for our wonderful Festival as well. WANTED - Festival trophy back please! 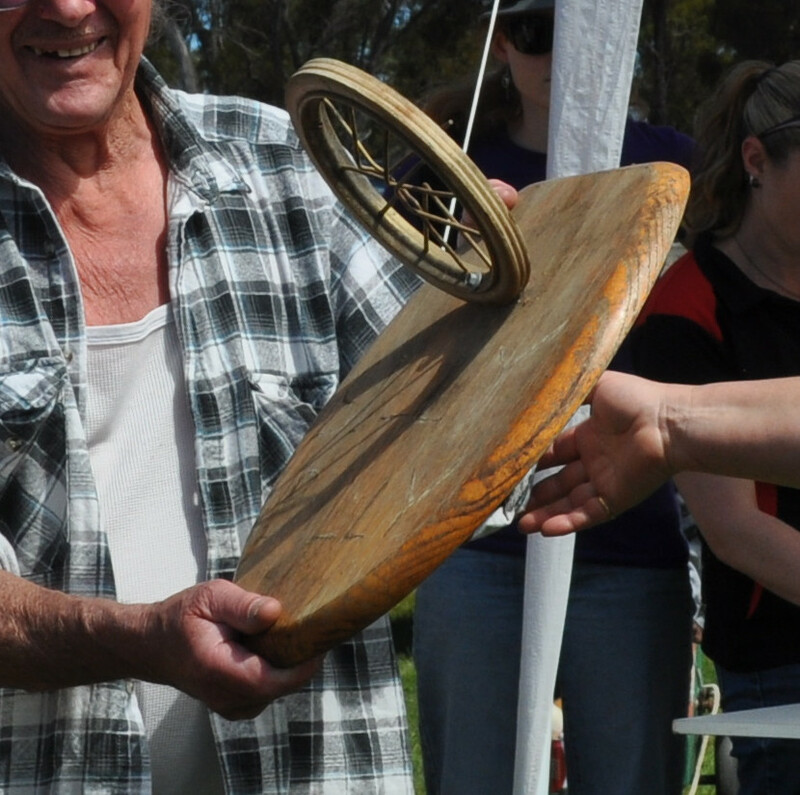 Please check out this article - Old Fogies (or Silly-Billy) billy cart race? as we are eagerly looking for the last winner of this prestigious trophy so we can get it back for the Festival in October. Recent strong winds resulted in our beautiful historic wooden bridge being badly damaged and it will be restored appropriately thanks to the Golden Plains Shire quick response to our letters - wonderful! Check out Facebook page - with pic.